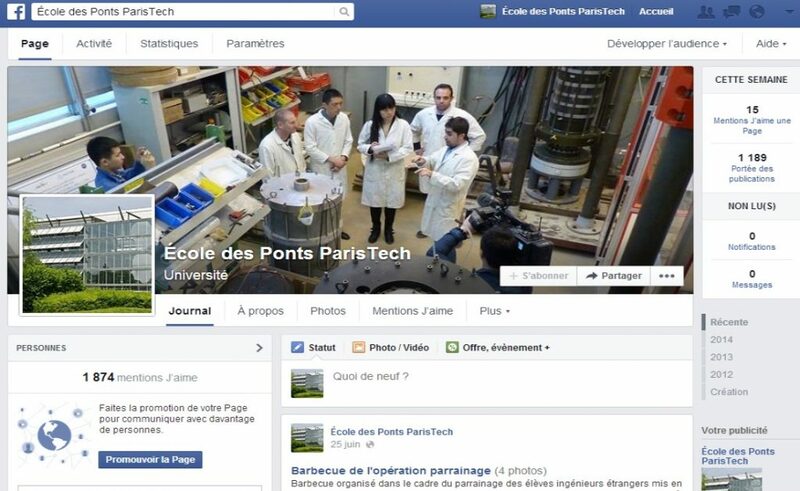 From 2012 to 2014, I have managed to develop the new social media ( Facebook and Twitter ) of the French Ecole nationale des ponts et chaussées ( member of ParisTech ). I have also developed its professional social networks (Linkedin, Viadeo), produced and edited some content of its website. For this achievement, I worked with the Communications, Education and Research Departments, and in collaboration with 11 research centers. Remarkable results : Best Twitter + Facebook interactive audience on 8 French schools of engineering in Oct. 2013.